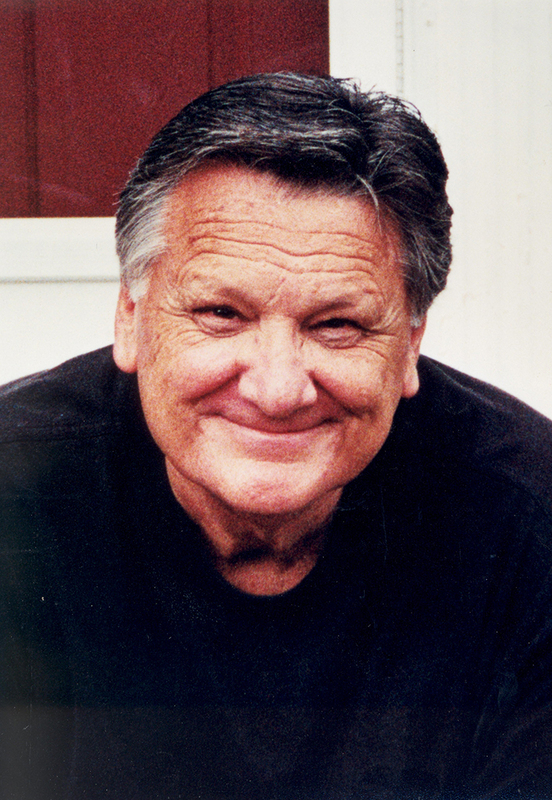 Before his death on June 29, 2001, at the age of 64, due to Pulmonary Fibrosis, Ronald Dunn had an extensive itinerate ministry of Bible teaching and preaching and served as the Minister-at-Large for the MacArthur Blvd. Baptist Church in Irving. He was also the president of LifeStyle Ministries, an organization that produces Bible study cassettes, which he founded in 1970. He preached Bible Conferences all over the United States, Europe, Australia, Canada, Central America, South Africa and the Caribbean Islands. During his time as pastor there, the church doubled in size and began a unique 24-hour Intercessroy Prayer Ministry. This Prayer Ministry has become the model for similar ministries in churches and Christian organizations around the country. In 1975, Ron resigned to fully devote his time to an itinerate ministry of bible teaching and writing. Ron Dunn is the author of ANY CHRISTIAN CAN (Masters Press), THE FAITH CRISIS (Tyndale House), VICTORY (Tyndale House), DON’T JUST STAND THERE-PRAY SOMETHING (Thomas Nelson ), WILL GOD HEAL ME? (Multnomah and Kingsway, UK) and FRIENDLY FIRE (Thomas Nelson and Kingsway, UK). In 1993, the British edition of DON’T JUST STAND THERE-PRAY SOMETHING was on the UK Christian Bestsellers list for a year and a half, outselling every other Christian book in the UK. His wife, Kaye, is the President of LifeStyle Ministries and lives in Flower Mound, Texas. They have two children, Stephen and Kimberly. Their first child, Ronald Jr., died in 1975 at the age of 18. Ron Dunn was born October 24, 1936, in Poteau, OK, to Eunice and Cecil Dunn He had one brother, Barry Dunn, of Nashville, TN, and grew up mostly in Fort Smith, AR. He was ordained to the ministry at First Baptist Church by Dr. J. Harold Smith on December 29, 1954. One of the most important things the pastor said that night was, “God has not called you to be the next Billy Graham; he has called you to be Ronnie Dunn.” Ron said that was the most disappointing thing he had ever heard, but it was the best thing he could have possibly been told. His mother reinforced that thought through the years, as well as Kaye. In 1976, Ron had his first book published by Master’s Press, Any Christian Can. In 1982, Ron preached at the Pastor’s Conference of the Southern Baptist Convention in New Orleans, LA. In 1984, Ron’s second book was published by Tyndale, The Faith Crisis. In the 1990’s Ron began an association with Bellevue Baptist Church in Memphis, TN; Sherwood Baptist Church in Albany, GA; Hopewell Baptist Church in Savannah, TN; Spiritual Awakening Conferences; Village Baptist Church in Oklahoma City, OK; Grassy Branch Baptist Church in Asheville, NC; First Baptist Church in Biloxi, MS; First Baptist Church in Jackson, MS; Sweet Jesus Retreats; Pickwick Landing State Park in TN; Green Acres Baptist Church in Tyler, TX; Bailey Smith’s Ministry Conferences; West Rome Baptist Church in Rome, GA; First Covenant Church in Grand Rapids, MI; First Baptist Church in Merritt Island, FL; First Baptist Church in Starkville, MS; Wayne Hills Baptist Church in Waynesboro, VA; Mud Creek Baptist Church in Hendersonville, NC; First Baptist Church in Cartersville, GA; Spring Baptist Church in Spring, TX; First Baptist Church in Highlands, NC; Immanuel Baptist Church in Pine Bluff, AR; Idlewild Baptist Church in Tampa, FL; First Baptist Church in Lavaca, AR; Northport Baptist Church in Northport, AL; Rockdale Baptist Church in Conyers, GA; and Riverbend Community Church in Ormand Beach, FL. Some of these churches he only preached at two or three times, but most he had a longer relationship. In 1991, Ron’s third book was published by Thomas Nelson, Don’t Just Stand There, Pray Something. In 1994, Ron made videos for Bill Gothard’s Institute in Basic Youth Conflicts to be used in pastor’s and leader’s seminars. He and Mrs. McBeth would invite us to their home where he grew all his own organic vegetables, fruit trees and marvelous varieties of grapes. We never went away empty-handed nor did they come to our home without bearing some cantaloupe, watermelon or grapes fro, their vineyard. After dinner, we would gather in our living room, drinking some fresh grape juice while Dr. McBeth would always pull out papers and began teaching us something helpful about the ministry or preaching. He taught Ron how to think in images, drawing from his own life, rather than using books of others’ illustrations. He taught him to indent his paragraphs in the pulpit by moving from one side of the pulpit to the other. He was writing a book on preaching and Mrs. McBeth passed his notes on to Ron after Dr. McBeth went to Heaven. He was a wonderful mentor to a young pastor eager to learn. As teenagers at First Baptist in Ft. Smith, AR, we heard the great Dr. Vance Havner preach several times, never guessing that we would have the privilege of being counted among his friends in later years and considering him one of Ron’s mentors. He preached for us at MacArthur Boulevard while Ron was pastor, and he and Ron preached in several Bible Conferences together. Dr. Havner was at least 40 years old when he married a lovely lady named Sarah and how he loved her. She became such an integral part of his life, and he never got over the pain of losing her to Cushing’s disease. Of course, he said, “You haven’t really lost someone when you know where they are.” But he was very honest with Ron about the void in his life when she went to heaven. Our oldest son died soon after Sarah, and Ron and I listened to Dr. Havner’s tape about Sarah’s death at least 20 times immediately following Ronnie’s death to gain strength and comfort. That made for an immediate bond in our lives. Ron loved spending summers and holidays at our family farm in Greenwood, AR. He and the children loved to set up a trot line in the evening and go out in the middle of the night to check it. He loved riding the tractor and mowing the pasture while wearing his gun and shooting snakes when he came upon them. He was even known to shoot a fish or two! He and I loved to sit at the lake in the evenings; I would spot turtles for him, and he would shoot them. Most of his time at home was spent behind a desk, studying and writing, so this was a welcomed retreat. Ron’s parents and brother and his family lived on the farm, and we loved our time together with them as we would gather as a family each night for dinner and then play charades or card games afterward. Ron had several favorite cars, but one of his favorites was his little black Nissan 280 Z and later a black 300 Z, which were great traveling cars since he spent so much time on the road. He would pack them to capacity and then head off for a meeting. One time a porter at a Chattanooga Hotel just sat down on the curb and watched as Ron packed the car, declaring that he didn’t think it could be done.